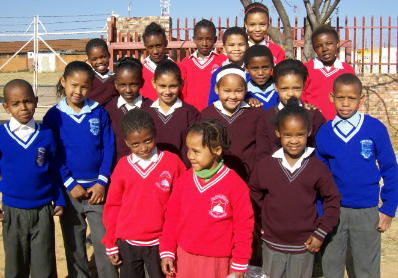 KICK is a Non-Profit Organisation based in the Eden Park community which provides a feeding scheme and homework facility for primary school children from Grades 1 to 7 in the area. 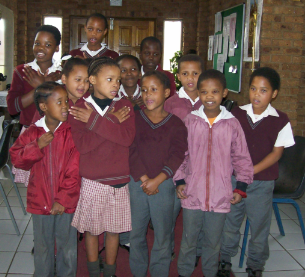 These are children from essentially “broken” homes and who suffer in one way or another from the poverty, alcoholism, AIDS, gangsterism, or whatever it may be that surrounds their lives. Most of these children don’t have loving families to go home to, and so they cherish their time with the ladies who run KICK. They rush from school to come and play, work and eat. And they use every facility we can offer. As important as food, or homework supervision, or even playing, is the love and affection they are given. 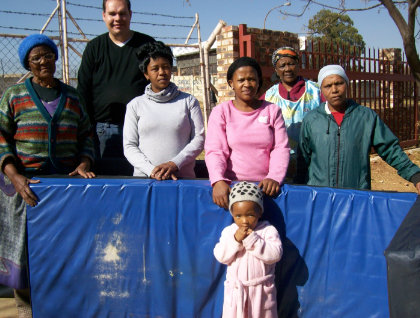 It all grew from a church project between the Parish of St Francis of Assisi in Meyersdal and the Parish of St Matthew & St Luke in Eden Park. Our volunteers are predominantly from Eden Park, and they are responsible for the preparation and cooking of the meals. Our donors include individuals, members of St Francis Parish, our link parishes and businesses.